02/05/2015 – WCA & CISA pedition of YU1BOR/P to Krusevac Fortress! – Operators of YU1BOR team will be active on the 2nd of May 2015 from Krusevac Fortress, WCA/CISA: YU-00008. They plan to work as YU1BOR/P on 40 (7.131) and 20 (14.251) meters only SSB. QSL via YT2KID. 73 & 11! [tnx info YT2KID]. 01/05/2015 – German Castles Day – 2015! 01/05/2015 – WCA & COTA-DL pedition of DL1RTK to Fretzdorf Castle! – Klaus DL1TRK will be active on the 1st of May 2015 from Fretzdorf Castle, WCA; DL-04083, COTA-DL: BRB-088. QSL via bureau. 73 & 11! [tnx info DL1RTK]. 30/04/2015 – WCA & COTA-DL pedition of DK0RBY to Schloss Bantikow! 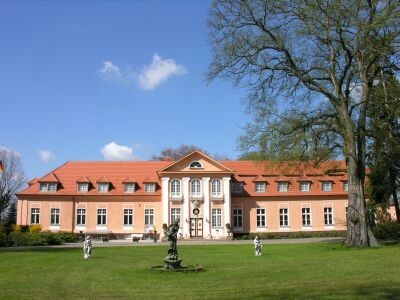 – Christian DC7VS, Nico DD6VFS and Ronny DG2RON will be active from 30th of April till 3rd of May 2015 from Schloss Bantikow, WCA; DL-04060, COTA-DL: BRB-065. They plan to work as DK0RBY on all bands. QSL via bureau or direct to DC7VS. 73 & 11! [tn info DC7VS]. 26/04/2015 – WCA & BCA pedition of ON5VL/P to Castle of Nandrin! – The operators of OT6A team will be active on the 26th of April 2015 from Castle of Nandrin (Tour of the Castle), WCA: ON-01699, BCA; LG-332. They plan to work as ON5VL/P from 06:30 till 12:00 UTC. QSL via bureau to ON5VL, direct to ON6DP. 73 & 11! [tnx info ON6DP]. 26/04/2015 – WCA & S5-WCA pedition of S51RU/P to Grad Podcetrtek! – Marjan S51RU will be active on the 26th of April 2015 from Grad Podcetrtek, WCA/S5-WCA: S5-00088. He plans to work as S51RU/P from 06:00 UTC on 40, 30, 20. 15 & 10 meters CW & SSB. Log will be uploaded into the WCA database. QSL via bureau. 73 & 11 [tnx info S51RU]. 25/04/2015 – WCA & DCFP & DMHP pedition of CQ1R to Santa Catarina Fortress! 9760 Praia da Vitoria, Terceira, Azores. Also e-confirmation via QRZ.com logbook (No Bureau). 73 & 11! [tnx info ICPO]. 25/04/2015 – WCA & DCI pedition of I2JJR/P and IK2QPO/P to Castello di Pandino! – Augusto I2JJR and Luciano IK2QPO will be active on the 25 April 2015 from Castello di Pandino, WCA: I-03026, DCI: CR-017, DAI: LB-0557. They plan to work as I2JJR/P and IK2QPO/P from 07:30 till 10:30 UTC. QSL via Home Call. 73 & 11! [tnx info I2JJR]. 25/04/2015 – WCA & DFCF pedition of F6CUG/P to Castle of Roure! – Alain, F6CUG/p will be in the commune of Noves on Saturday 25th April and plans to activate the Castle of Roure (WCA; F-06108, DFCF: 13-066) and Mill (DMF 13-012). Activity will be on 80 and 40 metres. QSL via home call, bureau or direct. 73 & 11! [tnx info ICPO]. 24/04/2015 – WCA & COTA-DL pedition of DL1JKK/P to Stein Castle! – Karl DL1JKK will be active on the 24th of April 2015 from Stein Castle (ruins), WCA: DL-04465, COTA-DL: SAX-284. He plans to work as DL1JKK/P on 40 and 20 meters from 07:00 UTC. 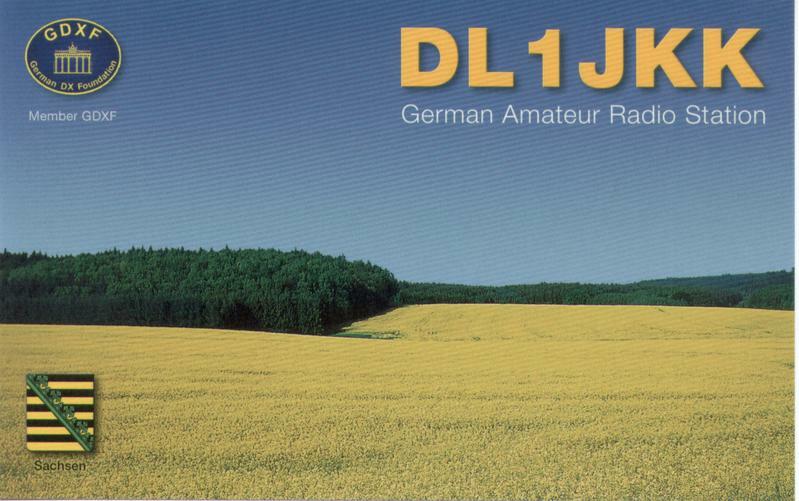 QSL via DL1JKK. 73 & 11! [tnx info DL1JKK]. 23/04/2015 – Photoreport about pedition of F4DTO/P and F4GFE/P to Fort de La Pree! 23/04/2015 – WCA & COTA-DL pedition of DH0KAA/p to Burg Geretzhoven! – Ingo DH0KAA will be active on the 23rd of April 2015 from Burg Geretzhoven, WCA: DL-04731, COTA-DL: KAB-343. He plans to work as DH0KAA/P from 14:00 UTC. QSL to Home Call. 73 & 11! [tnx info DH0KAA]. 22/04/2015 –New members of WCAG! #138, Christian Lowe, DB5CL. Our congratulations! 21/04/2015 – WCA & ZWP pedition of SP9YFF/p to Zamek Lemiesz n.Dunajcem! 20/04/2015 – New award programs of national castles and fortresses established! “Castles in Serbia” Award (CISA). Our congratulations to Sadmir E72AW and Dragan YT2KID! 20/04/2015 – WCA & COTA-DL pedition of DK0DFF to Burg Normannenstein! 19/04/2015 – WCA & S5-WCA pedition of S51RU/P to Podsreda Castle! – Marjan S51RU will be active on the 19th of April 2015 from grad Podsreda, WCA/S5-WCA: S5-00089. He plans to work as S51RU/P from 05:00 UTC on 40, 30, 20 meters CW/SSB/FM. On 80 and 2meters during ZRS KVP & Marathon contest only ! Log will be uploaded into the WCA database. QSL via bureau. 73 & 11! [tnx info S50LD]. 19/04/2015 – WCA pedition of YT2KID/P to Petrus Fortress! – Dragan YT2KID will be active on the 19th of April 2015 from Petrus Fortress, WCA: YU-00031. He plans to work as YT2KID/P only SSB on 7.131, 14.251 and 18.131. QSL via Home Call, bureau or direct. 73 & 11! [tnx info YT2KID]. 19/04/2015 – WCA & COTA-DL pedition of DH0KAA to Burg Moedrath! 18/04/2015 – WCA pedition of LZ1NY/P, LZ1CM/P and LZ1YLE/P to Elenska Basilika Fortress! – Victor LZ1NY, Donka LZ1CM and Eli LZ1YLE will be active on the 18th of April 2015 from Elenska Basilika Fortress, WCA: LZ-00081. They plan to work as Home Call/Portable from 08:00 UTC on 20 meters SSB. QSL via bureau or direct. 73 & 11! [tnx info LZ1NY].